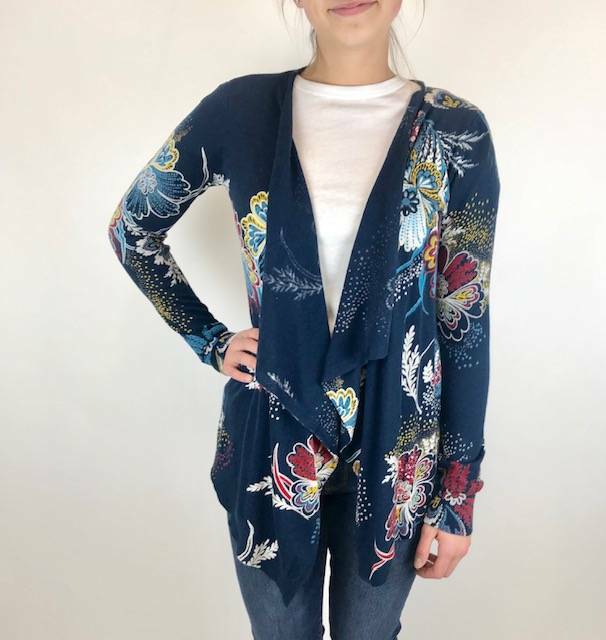 Navy blue loose-cut jacket with an artisan floral print. Exquisite artisan floral embroidery adds elegance to this jacket whose collar drapes in two large ruffles at the front ready to bring life to a basic white t-shirt and jeans or dress it up with a shell and black pants! Great to layer over dresses as well!